CAFE CORDOVER: Big Gun Politics: Can Armed Political Parties Fairly Participate in Democratic Processes? Big Gun Politics: Can Armed Political Parties Fairly Participate in Democratic Processes? Can Armed Political Parties fairly Participate in Democratic Processes? The Popular Resistance Committee ("PRC"), a Palestinian terrorist group responsible for the deaths of Israelis, Palestinians, and Americans, has announced that it will form a political party to run in future Palestinian elections. It vowed, however, to keep its militia intact. "We will be a political movement in every way," said the group's spokesman, "with media advisers, a political leadership and we will maintain the Salah a-Din Brigades which will be our military wing." That raises the question: Can armed political parties fairly participate in democratic processes? The PRC was formed in 2000 at the beginning of the second Palestinian intifada (uprising), and is based mainly out of Gaza. It's leadership consists of former Fatah members who are against peace with Israel, as well as members of Hamas and Islamic Jihad. It is also suspected of having ties with the Lebanese group Hezbollah. The PRC has killed Israeli soldiers and civilians in the Gaza Strip and has wounded several Israelis by firing rockets into the Jewish State from Gaza. It claimed responsibility for a 2003 roadside bomb that killed several members of a U.S. diplomatic envoy in Gaza. It also boasted of killing Moussa Arafat, cousin of late PA President Yasser Arafat and former head of security, in 2005. 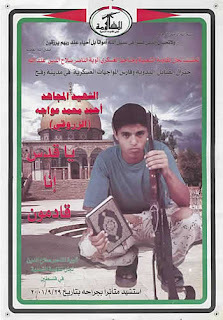 In 2006, the PRC (along with Hamas) kidnapped Israeli Defense Forces ("IDF") Cpl. Gilad Shalit, who is still in captivity. To most in the West, a political party having an armed wing seems seems antithetical to democracy. But in the Middle East, there are plenty of examples of groups that have both political branches and a militia. Palestinian Authority ("PA") President Mahmoud Abbas' Fatah party has armed wings (separate from official PA security forces) associated with it, including Tanzim, Force 17, and the al-Aqsa Martyr's Brigade. Similarly Hamas, the political party that won PA parliamentary elections in 2006, is best known for suicide bombings committed by its armed wing. Hezbollah also has political and armed divisions. In the 2005 Lebanese parliamentary election, Hezbollah won 14 seats, and for a while had two members in the cabinet. In Iraq, it seems as if all political parties have their own militaries. Even Israeli political parties use to have armed wings, though this is no longer the case. More on Israel's transition in a moment. The answer, exemplified by Hamas, seems to be yes. Hamas won the 2006 PA parliamentary election not because it intimidated voters with its militia, but because the ruling Fatah party was seen as corrupt. On the other hand, having distinct armed wings creates a highly destabilizing atmosphere. Because Fatah refused to disband its militias, Hamas and other groups such as the PRC maintained theirs. And now the PA is in a state of near-civil war. The Lebanese government has been in political gridlock for almost a year, partly because Hezbollah has refused to disarm. In addition, other terrorist groups are sprouting up, such as the al-Qaeda inspired Fatah al-Islam. And, as I wrote in a previous article, al-Qaeda sees its primary enemies as not only the West but also Shi'ites, whom they describe as infidels. An armed Shi'a Hezbollah only aggravates the situation. And then there is Iraq. Enough said. Before the rebirth of the Israel in 1948, militarized political parties were common. One political party that had a militia was known as the Revisionist Party (the forerunner of the modern-day Likud Party), and it advocated the creation of a Jewish State in all of British Mandate Palestine. The military wing of the Revisionist Party, called the Irgun, was led by Menacham Begin. The Irgun initiated attacks against various British installations, such as the bombing of the King David Hotel that killed British Diplomats. When the State of Israel declared its independence in May 1948, most militias agreed to disband or incorporate themselves into the IDF. The Irgun, however, still wanted to retain some independence. In June of that year, over 900 Irgun men and tons of military supplies arrived in Israel aboard the Altalena to help fight the War of Independence. Menacham Begin insisted that at least some of the supplies should be earmarked for separate Irgun activity, though then leader of Israel David Ben Gurion concluded that the IDF should have the sole military authority in the Jewish State. When Begin refused to give up all of the weapons, Ben Gurion ordered the IDF to take the Altalena by force. The IDF opened fire on the ship, killing 16 Irgun fighters and sinking the Altalena. In addition, 200 Irgun men were arrested. After the incident, all militias were fully disbanded or incorporated into the IDF. Ben Gurion established rule of law, and cemented the concept that the option of force rested solely with the state. So yes, an armed political party can fairly participate in democratic processes. The PRC may even be able to accomplish this feat. But it is only attempting to do so at the peril of the Palestinian people. 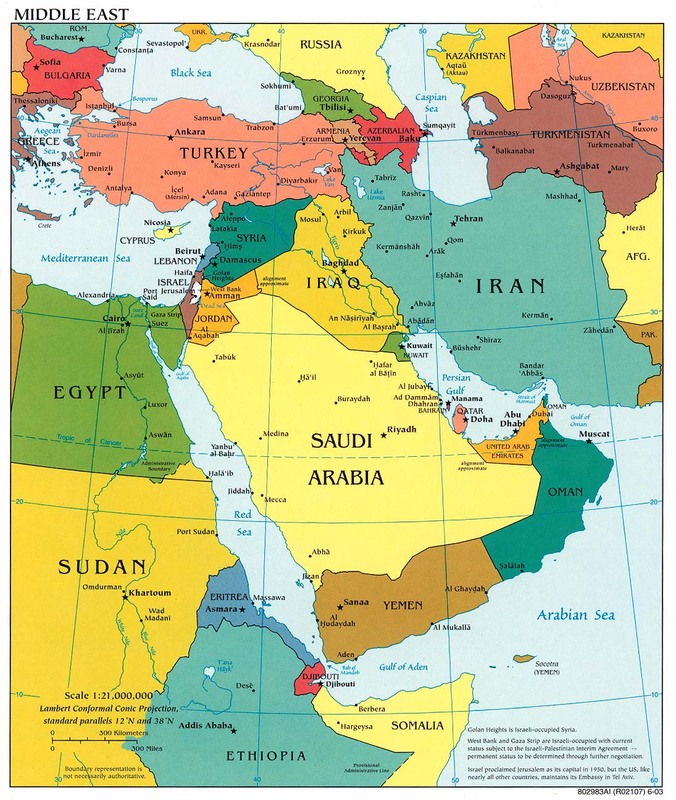 If the Palestinians, the Lebanese, or the Iraqis want peace and stability, they must first get their house in order. They (including ruling parties) must either get militias to disband by agreement, or they must initiate their own Altalena. Hey, thanks for stopping by! I'm definitely up for a little Blogrolling.